What can kids learn from summer camp? While camp counselors aren't the same as school counselors, they do strive to teach campers important life lessons that can serve them well in school and beyond. First, camp is a safe place to try new things. Kids can try out something for the first time without any worry about messing up or getting a bad grade. They feel more comfortable and relaxed at camp when they learn something for the first time--no matter how many mistakes happened along the way. Whether it's horseback riding, fishing, or dancing, kids find great pleasure in the satisfaction of doing something new for the first time. Camp provides a place for kids to make new friends with others. These friendships can last for years or just the summer, but they all share fun memories about things they did together at camp. Often times, these new friendships help kids discover similarities with others despite being "different" in other ways. Most importantly, kids learn the importance of playing, relaxing, and having fun. The school year can be frustrating, difficult and high-pressure for many kids. They deserve some time to laugh and be active without being competitive or serious. After camp, many kids decide to continue developing their newfound hobbies with their parents or friends as a way to create more joy together in their lives. Kids get to be active. They can try soccer, tennis, biking, hiking, jumping on the trampoline, and many more sports. Instead of watching TV, playing a video game, or surfing the Internet, kids are actually engaging in different activities. Kids can find a natural way to relieve stress through movement as a way to stimulate adrenaline, endorphins, and better relaxation. Overall, camp has lots of benefits! However, there can be several drawbacks to camp. Cost. Many families can't afford camp. Ask the camp director if there is a sliding scale or financial assistance and you might be able to get some help. Offer to volunteer in exchange for free tuition--just don't hover over your child. Let them experience camp without your over-involvement. They need to get away from you too. If all else fails, save up. Pick a camp to attend for next summer and show the benefits of earning money and saving it for something you want to do. Exposure. Kids will probably be exposed to others with different backgrounds. Camp Counselors might have different rules, expectations, communication styles and discipline than their campers' parents. Talk with kids about how camp is alike and different than home. See if there's anything that can be improved at home to create more fun, less stress, and greater joy together. Disappointment. There are many times when campers are disappointed for one reason or another: Their best friend wasn't able to attend camp with them; They didn't like the food; or They wanted to be in a different group that appeared to be having more fun. Talk about what you can do when you feel disappointed. 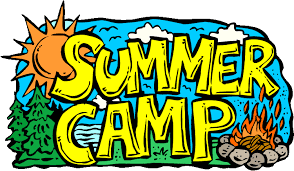 Add a link on your school counselor website to the specific summer camp directory in your area so parents will find new camps that their children will be able to attend. Feel free to copy and paste any of the above information to your counselor newsletter or website to share camp information with your parents. Thank you for sharing!! I'll definitely register a summer camp for my kid when he's old enough. Very nice. Thank you for share this information. Online custom essay writing service is to provide the many essay papers and students thesis papers. if you want more just look here "web design"